Updated on 20 July 2017.
a. Find the image on the web site. b. Right click on the image and choose 'Properties'. Other web surfers like OPERA, just right click on the photo and get 'Copy Image Address'. d. Now go to your post and click on the Img box, PASTE your Image address (Crtl+V) and click on the Img* box again. a. Just click on the upload link as shown below and your image will be hosted by Postimage. b. Click "Choose images" and navigate to the image(s) you want to upload. c. The image location is automatically placed into your message! Upload your photo to the internet, using a photo hosting website, such as the free imgbox or nickpic.host. c. The File Upload box opens. Browse to the folder where your photos are saved and Select the file(s) to upload. Note that holding control down while you select allows multiple file selection. d. Choose where you want your uploaded file(s) to be stored. f. Once your file is uploaded, click the far right Copy button to copy the BB Code. 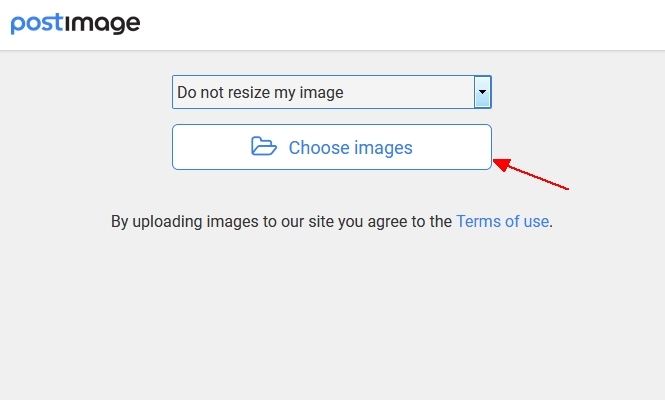 Make sure Full Size is selected, otherwise you'll get a thumbnail which is liked to the full size image. g. Paste into SAAF FORUM page. NO need to tag it with the usual [img]Your%20URL[/img] tags. Select the images you want and then click on the Share button. Thanx for the easy easy site, and also the easy registration process. until he feels it's suporting power beneath him. I have seen some posts here with thumbnails (click for full size image). An old question, but still relevant. You first need to specify the URL to the main large photo & then set the IMG thumbnail location. So in essence you have to have uploaded two files ie the large image & a thumbnail image. 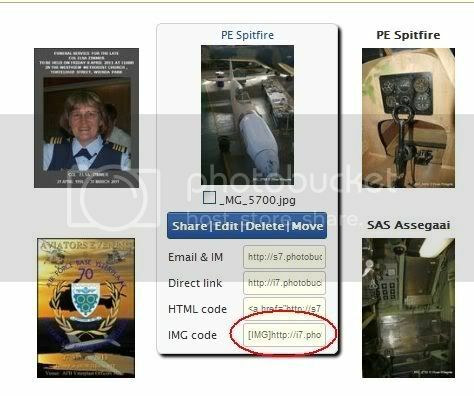 Maybe someone could make an account on Photobucket for all the members of the SAAF forum to use. Public accounts are great - until username & password get out into the wild and start being used by child pornographers. How do you add copyright to photos? You don't need to do anything, if you created the photo in your own capacity - not as a photographer working for a newspaer etc - then you automatically own the copyright until you sell it, give it away or in any other way renounce it - such as declaring your photo to be in the public domain. I imagine he meant a watermark... For which there are automatic programs, some upload sites have a built-in function, and most image-editing software can be used with varying degrees of effort to achieve such an effect. But this form runs on phpBB, not VBulletin. a. Upload your photo to the internet, using a photo hosting website, such as the free Photobucket. (http://www.photobucket.com). Just hover over the photo and the drop down list appears. 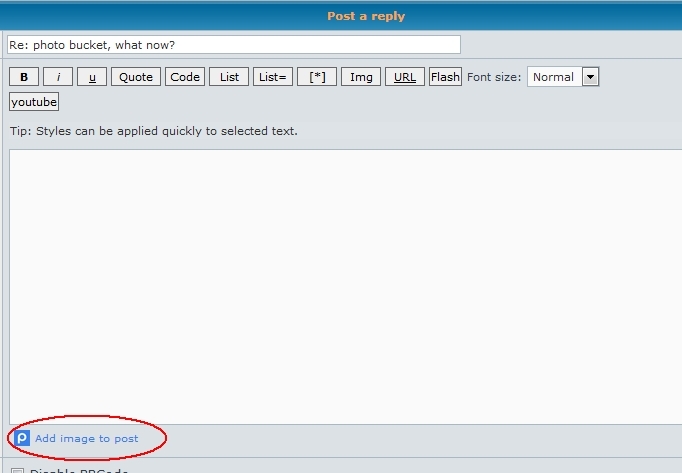 Then just click on the circled link and then paste (CRTL-V) into the Forum reply post. Photobucket has "changed" everything, none for the better IMHO. Time for a new set of graphics, Dean. Thanks to Eugene, graphocs and instructions have been updated.